Target Corp., of Minneapolis, Minn., is recalling about 178,000 Room Essentials 4-drawer dressers sold in the U.S. and Canada. The dressers are unstable if not anchored to the wall, posing serious tip-over and entrapment hazards that can result in death or injuries to children. This recall involves Room Essentials 4-drawer dressers sold in three colors. The dressers measure 41 7/8 inches tall by 31 ½ inches wide by 15 11/16 inches deep. Model number 249-05-0103 (black), 249-05-0106 (espresso), or 249-05-0109 (maple) is printed on the product’s packaging. 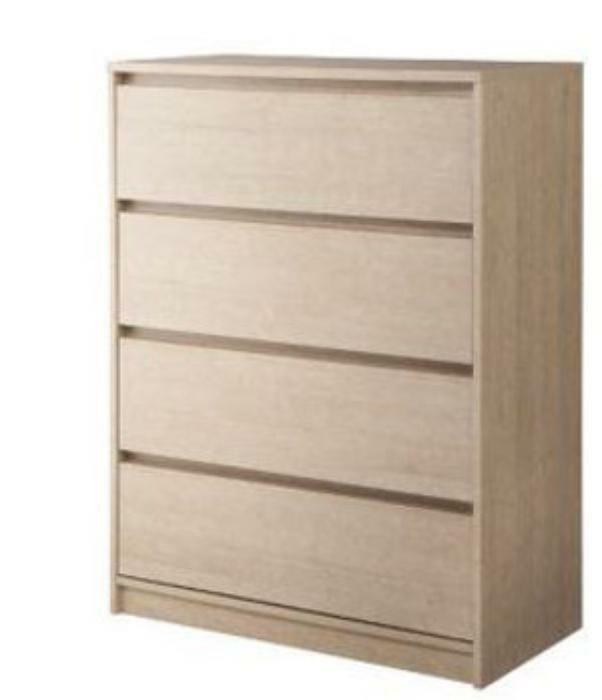 The dressers, manufactured in Denmark, were sold exclusively at Target stores nationwide and online at Target.com from January 2013, through April 2016, for about $118. Consumers should immediately stop using a recalled dresser that is not properly anchored to the wall and place it in an area that children cannot access. Consumers should return the recalled dresser to any Target store for a full refund. Consumers may contact Target at 800-440-0680 from 7 a.m. to 8 p.m. (CT) daily or online at www.Target.com and click on “Recalls” at the bottom of the page, then “Furniture” for more information, or the “Product Recalls” tab on www.Facebook.com/Target.